We are now taking deposits to hold your puppy. Deposits are $500.00 To hold your Puppy. Loyal, devoted, highly intelligent, versatile, bold, and beautiful, our puppies come with hundreds of championships in their blood line. Dutchess's father is World/International Champion - yacheero"s Imperial Imron. Bella Die Erste's Father-CH Pierce Patrick Od Telepa. Sir Maximus's Father Rick's Ravendynamite Kripto Von. Kai Johan's Father Ansochristo's Eye of the Tiger. 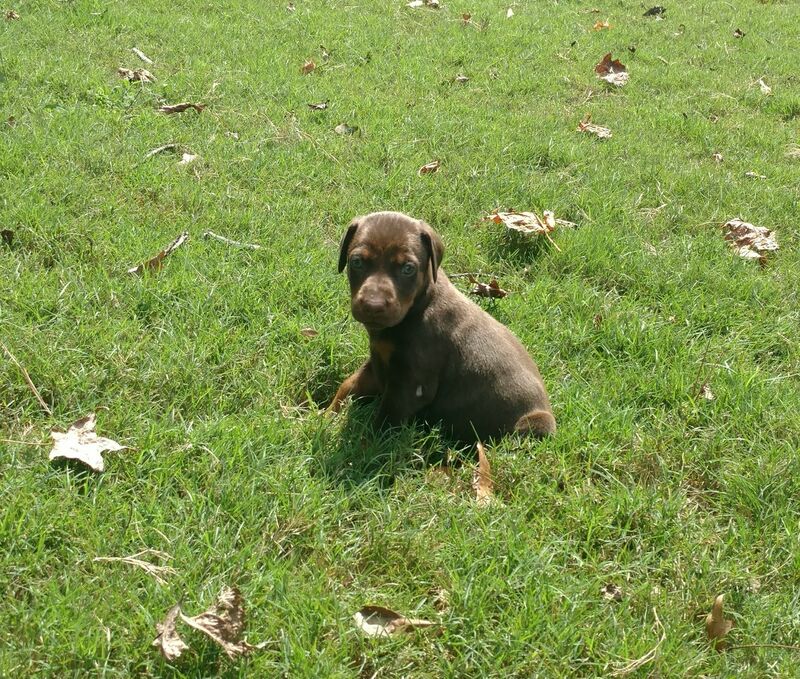 Our Doberman puppies come from Champion European bloodlines that are superior in intelligence, ability to learn, behavior, and size. Our pups go home at 8 weeks at the latest and will come with their AKC registration papers, pedigree, all vaccine/deworming information, tails docked, dewclaws removed, vet exam at 6 weeks, as well as information about what we feed them and what to expect with your new family member. Our breeding dogs are health screened for genetic defects and are always treated with the best in mind (Extremely spoiled). Max and Dutchess are wVD clear -No bleeders here. We call ourselves enthusiast of the breed, wanting to only better the breed. 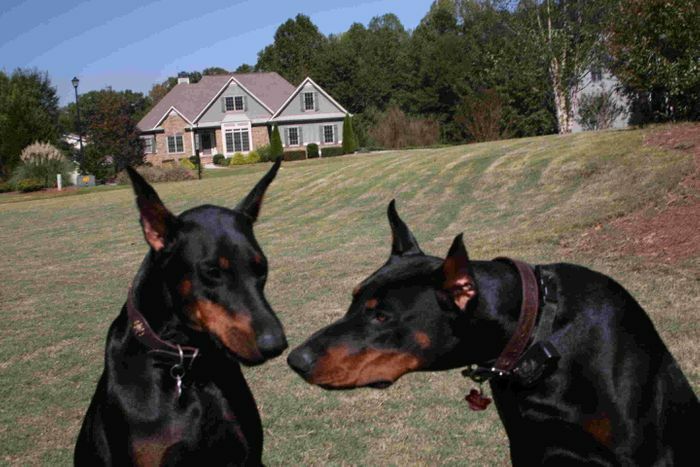 Our Dobermans come from strong euro blood lines, with champion show back grounds and champion Schutzhund back grounds. All the Sires and Dams live in our home and are always on the premises. All of our puppies live in our home and are socialized right from the start. We have three children that are not only involved with the dogs and puppies but truely enjoy their companionship and love trying to take care of them all. We believe that socialization for the Doberman is of utmost importance so that the dog will be well rounded and mentaly able to handle all situations in life. We have never encountered any true type of aggression towards us, nor our children. 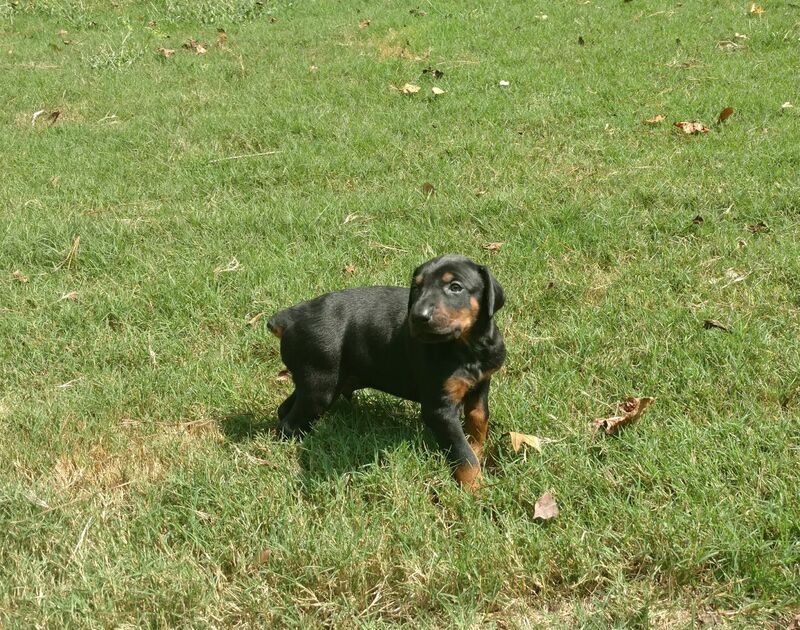 $ 1,100.00 remaining balance due on pickup at 8 weeks of age.